Electric Jaguar IS incoming: brand to go electric with Formula E entry and "suite of cars"
Jaguar's beentalking about "going electric" for yearsfor years, but it's now that bit more concrete. In fact, we can confidently say that there'll be not one but several E-Jags. 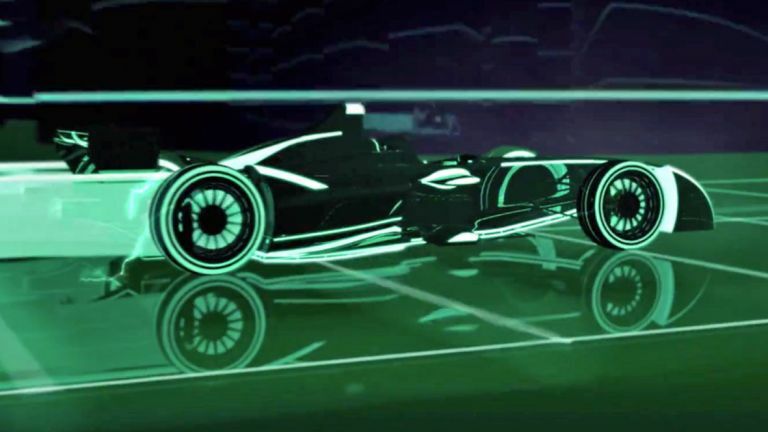 And we can give you a time frame with a certain amount of confidence too: it'll happen by 2020, with the first car rolling out in 2016, albeit only in the Formula E championship. Than this… Although we see and like what you did there, Jaguar. The move into Formula E is Jaguar's first motorsport venture since the ill-fated Formula 1 season of 2004, when it scooped a not-earth-shattering 10 points. Making the announcement for Jaguar Land Rover wasGroup Engineering Director and young Roy Hodgson lookalikeNick Rogers. Interestingly, he was repeatedly at pains to say that Jaguar sees this as a testing ground for road cars, and specifically stated: "We believe electricity is the future and will deliver a portfolio of electric cars," adding, "We'll see more change in the next half decade than the previous 30 years…Electrification is going to happen." For Jaguar, then, Formula E is a means to discover how to wring every watt out of the engine as efficiently as possible, "This format fits with that," continued Rogers, "Zero emissions in urban environments. We're in this to develop real-world technologies." Indeed, questioned on the need to win races and score points, Rogers seemed to imply that these were secondary goals compared to developing EV tech for real-world use. So what's the reason for this e-nthusiasm? The carbon targets - both self-imposed and through regulation - that Jaguar and the rest of the car industry face by 2020. "It will transform the market," said Rogers. Jaguar will also be investing in new twists on conventional engine technologies, hybrids and plug-in hybrids, as well as full-on EVs. The brand is partnering with Williams Advanced Engineering for Formula E, with the Oxfordshire-based F1 legend providing expertise in race operations, while Jaguar heads up the engineering side. "E is the most accessible, global motor sport," concluded Team Director James Barclay. "It's bringing it to urban areas, it's innovative and it has a young appeal which is very important to us." Jaguar Land Rover is splashing £3 billion on vehicle development in 2015/16, with, according toSenior Manager of Global PR CommunicationsRichard Agnew, "a good percentage on electric… But we're not breaking down numbers today."